BEND, OR -- A 129-room extended-stay hotel is planned for northeast Bend, near St. Charles Medical Center, but a group of neighbors isn't happy about the idea. Hallmark Inn and Resorts proposed the project, citing a need for more lodging options near the hospital. Lisa Goodman, with St. Charles, says they didn't request the hotel be built and have not been involved in its planning, but they can see the benefit of having a hotel nearby. 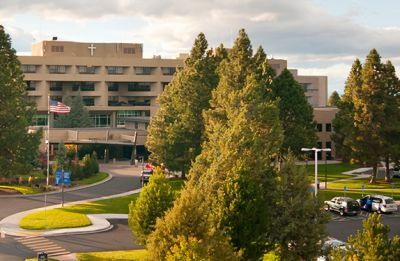 Bend's City Council unanimously approved a request in December to allow extended stay hotels inside the Medical District Overlay zone. Jim Connor, who lives near the proposed hotel site, says the 93 homeowners affected by the project expect there will be negative impacts to their quality of life and property values, "Our privacy is going to disappear with this hotel. Livability is one of our concerns: Our livability is being negatively affected by this hotel project." He tells KBND News, "The city government should not be in the position of destroying homeowner equity to create a profit-making enterprise on adjacent land. That's just got to stop." Connor is the President of the Oak Tree Homeowners Association and says there's already too much traffic by the hospital, and only limited parking in the neighborhood. According to Connor, "27th street gets 20,000 vehicle trips a day, past that intersection." He admits he and his neighbors remained silent when the city discussed adjusting the zoning allowance, "We didn't oppose it in front of the Planning Commission because we didn't understand what an existential threat the hearing was to our neighborhood." He now hopes officials will reconsider, "We have filed opposition to the hotel plan as it currently stands, on safety and other issues, and we continue to believe the hotel is in the wrong place." If the hotel is allowed to move forward, construction will begin in March of 2019, and take about a year to complete.